Inkscape is a free open source vector graphics editor for Linux, Windows and Mac OS X. It is suitable best for illustrators and web designers.It is also best free alternative to Adobe Illustrator. It supports SVG file generation and editing and supports PNG, OpenDocument Drawing, DXF, sk1, PDF, EPS and PostScript export formats. It comes with drawing tools, Shape tools, Text tool and clones tools. You can watch and edit the document tree in the XML editor. It is also comes with Color selector, Color picker, gradient editor, Pattern fills, Dashed strokes and Path markers. 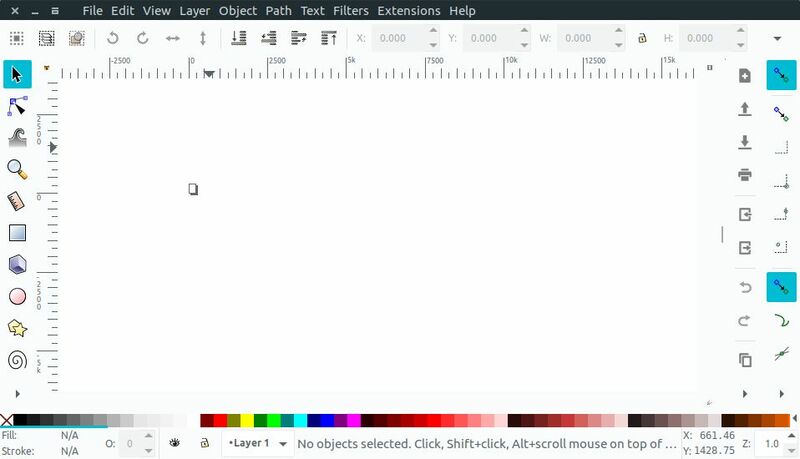 You can add more features in Inkscape by using extensions. You can download and Inkscape from the ubuntu software center or install it from the command line by adding its PPA. To install Inkscape via command line, open the terminal app and type and enter the below command. Type your Ubuntu password. Then press the enter key. This will add the Inkscape vector graphics editor’s PPA on your system. Then run the below command. After that type the below command and press enter key to install Inkscape on Ubuntu. Type Y and press the enter key to confirm the installation. After the successful installation of Inkscape restart your ubuntu. Click the Dash home from unity launcher. And type Inkscape in the search field. Then click Inkscape vector graphics editor to open it.